FRANKFURT (Bloomberg) -- Volkswagen Group CEO Matthias Mueller sought to win over workers to restructuring measures aimed at lifting margins at the embattled German carmaker's namesake brand and helping weather the emissions-cheating scandal. After nearly six months of crisis and recent revelations that senior managers missed warning signs, workers are fighting to avoid bearing the brunt of the cost cutting. That put Herbert Diess, the chief of the VW brand and the main driver of cost-cutting measures, in the hot seat as some 20,000 employees gathered Tuesday at Volkswagen's main plant in Wolfsburg, Germany. Mueller backed Diess's 12-point program to boost efficiency at the brand, calling the transformation necessary and an opportunity, not a threat. "Together, we must make the necessary changes to safeguard the future of Volkswagen," he said. Bernd Osterloh, Volkswagen's top worker representative, in January had criticized Diess's goal of a 10 percent improvement in productivity as "unrealistic." There have been no signs that the two have come to terms, with Diess saying in an interview with the Wolfsburger Allgemeine Zeitung last weekend there won't be a "second chance" to restructure the brand. "Mr. Diess addresses many of the right strategic issues but needs to improve communication with staff," Osterloh told workers Tuesday. "Let us talk with each other, not about each other." The labor chief said he sees 2 billion euros ($2.2 billion) in potential savings at the brand, slightly more than he had predicted late last year. He and other union leaders have called for cuts to focus on narrowing the brand's broad palette of vehicles and using more common components, instead of affecting staff. The diesel scandal has increased pressure on VW, as its parent company faces billions of euros in fines, recall costs and settlements. 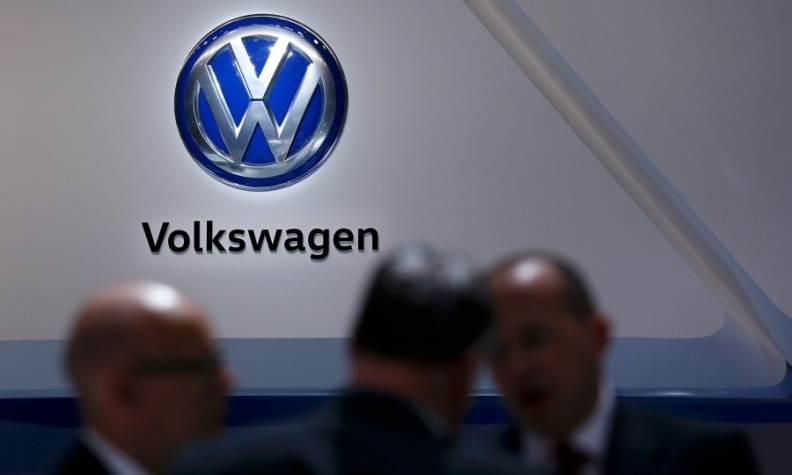 Volkswagen may set aside an additional 15.5 billion euros for the diesel issue when it reports last year's results on April 28, Klaus Breitenbach, a Frankfurt-based analyst at Baader Bank AG, said in a report to clients. The overhaul "is the biggest test for VW's supervisory board to show that it is aiming to run a value-oriented business," said Arndt Ellinghorst, a London-based analyst at Evercore ISI. "Diess is probably the best person in the industry to get this done. It's all about the commitment and support he is getting from the supervisory board." The VW brand's profit margin was 2.8 percent for the first nine months of 2015, trailing rivals including PSA/Peugeot-Citroen, which generated a return on sales of 5 percent last year. Diess' plan, laid out at a management gathering in December, sparked fears that cutbacks might spill beyond temporary workers to the company's permanent staff. The company was already in the midst of reworking established power structures by separating the VW brand from the corporate parent. Before Diess joined Volkswagen from BMW in July, former CEO Martin Winterkorn was head of the group and the brand.